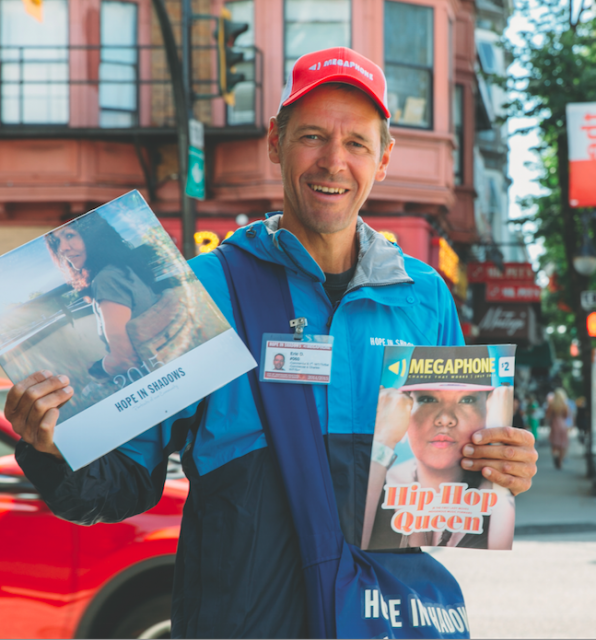 A magazine sold by homeless and low-income vendors, to enhance their income. Published by professional journalists and designers, Megaphone magazine covers important social justice issues, general interest stories and independent arts in Vancouver and Victoria. The magazine also features writing from vendors and members of our community writing workshops.